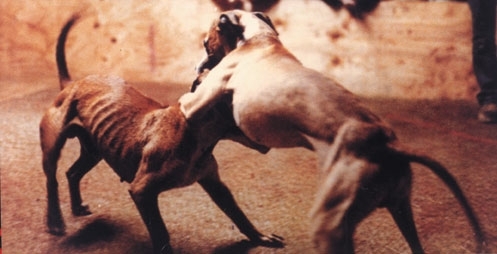 It is bad enough when you are on the wrong side of an attorney, but when you get a group of attorneys all battling it out, it is reminiscent of a Mike Vick dogfight. What this fight boils down to is that one lawyer ran against another lawyer in a primary election and won–and the losing lawyer is now worried and calling in favors from other lawyers to mount a smear campaign against the lawyer who won. Got that? Now, if we could only get all of those lawyers together to go “fishing” with Tom Capano…. In one corner you have Alison Asti who has sent the attached cease and desist letter to her opponents. In the other corner, it seems that every trial and family lawyer that is somehow beholden to the sitting judges slate is taking jabs–and large advertisements and sending out a lot of mailers and robocalls. This will get very interesting. Will Asti win? If she doesn’t, will she follow through with her threats and file suit? Wow, imagine a lawyer suing a lawyer and going before a judge to get a judge’s seat. And what happens to the two seats if the election is contested? Do they remain vacant? It seems there are a lot of unanswered questions when lawyers attack. All of these political dirty tricks sort of make a good argument for changing the process.